Greece is a country known for its history, antiquity, and abundance of byzantine relics and artifacts. This, along with the beauty of the landscape, has encouraged tourism and it has become one of the biggest revenue sources for Greece. People began to discover the beauty of Greece in the 1960’s when they started visiting the rocky islands of the Aegean. In addition, movies such as “Never on a Sunday” with actress Melina Mercouri and “Zorba the Greek” with protagonist Anthony Quinn made Greece known to the world at that time. The actors have long passed, but their legacy still lives on, and the mention of the movies evokes images of Greece as a simple place where home life is centered on family, food, and work. People still flock to the islands for a sense of peace and tranquility today. The climate, being dry and hot during the summer months, draws people to the Sea and its breathtaking sunsets. However, not all of Greece has the same climatic characteristics. In the middle of Greece, there is a mountain range called Pindus Mountains, which runs northwest to southeast from the central part of Greece, down to the southern part of the Balkan Peninsula. This mountain region is what separates the climate of Greece into two areas and two different types of climates: rocky and arid on the east side, and lush and green on the west side. The climatic characteristics of lush and green vegetation can particularly be seen in the Region of Aetolia where the olives are harvested for our extra virgin olive oil. This area exists in the most western part of central Greece, close to the largest lake in Greece, Lake Trihonis and is home to the magnificent olive groves where our olives are grown. The microclimate of the lake is surrounded by hills that are not more than 1,930 meters above sea level. The Pan Aetolia region on the north side produces the katabatic winds (from the Greek word katabatikos meaning “to flow downhill”). 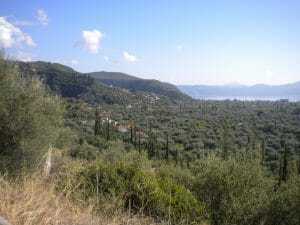 Across the lake, on the south side, is the region of Arakynthos (also commonly called called Zigos). The winters here are mild due to hot fronts from Africa and the microclimate around this water basin. 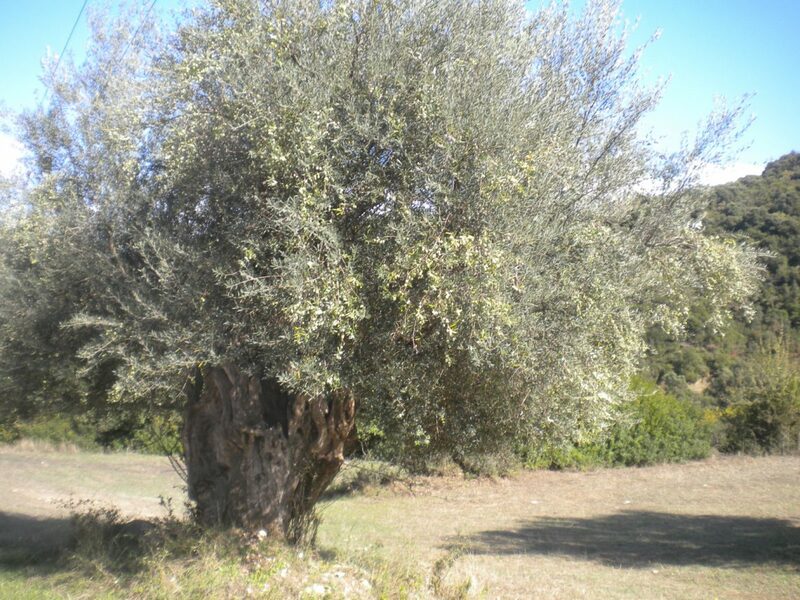 The perfect conditions (hot summer sun, mild winter temperature, minimum frost, and low humidity) exist here for growing the particular single varietal olive tree called Koutsourelia (meaning large trunk). 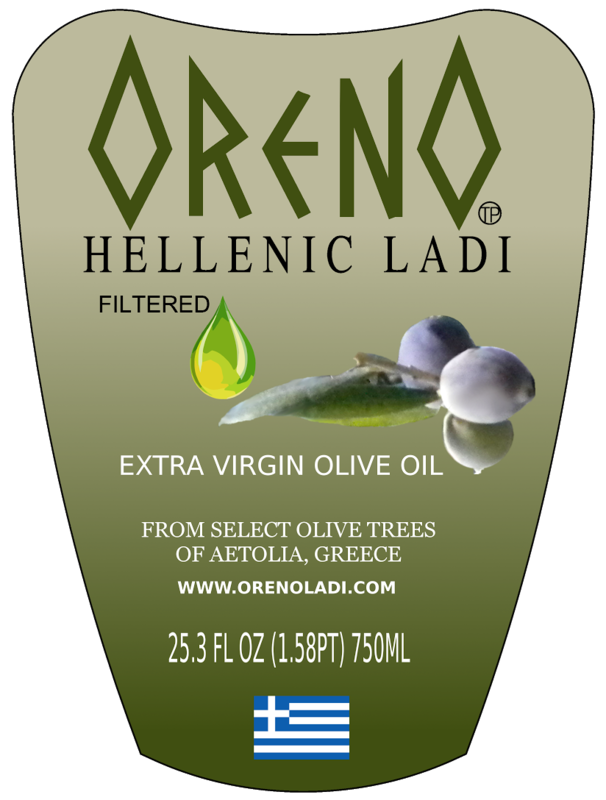 These trees thrive in this area and have existed for hundreds of years, and in these olive groves is where you will find the very trees that produce ORENO HELLENIC LADI.